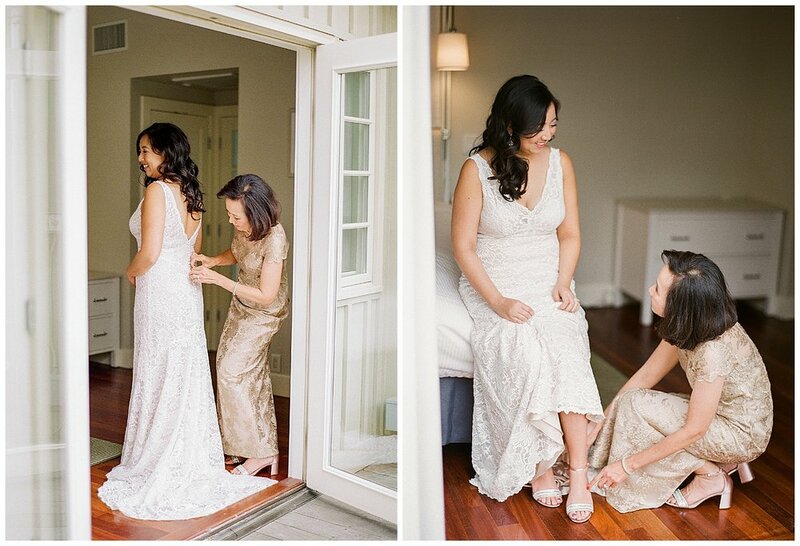 Featured on Carats & Cake and Trendy Bride Magazine. 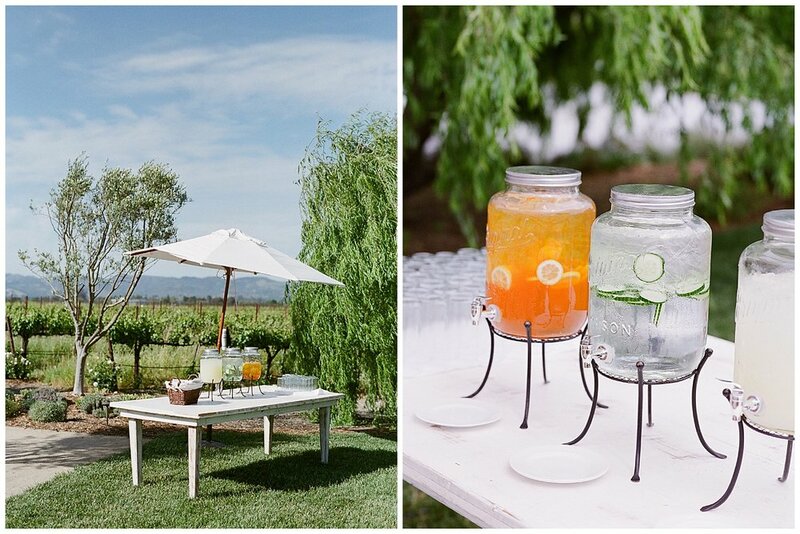 Kristina and Peter’s wedding took place at The Barn at Tyge Williams in Sonoma Valley, California. 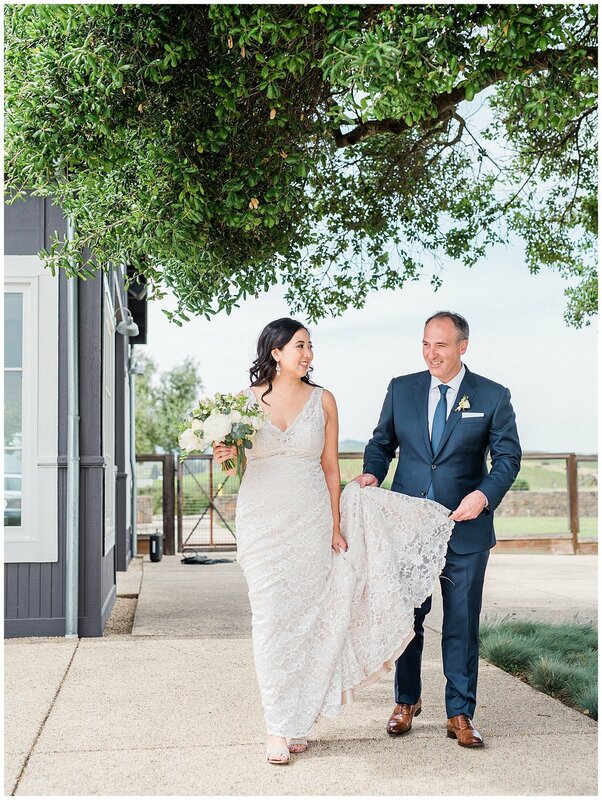 They started their day by getting ready at Carneros Resort and Spa. 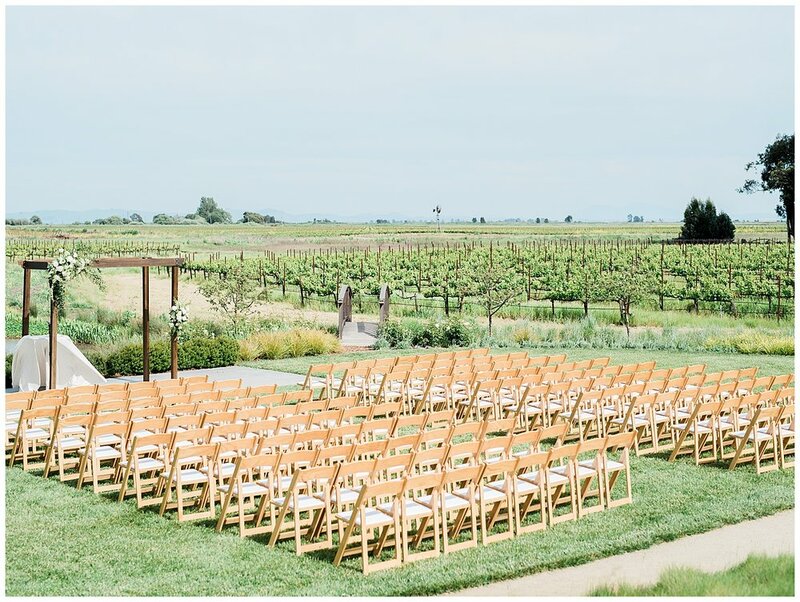 Carneros is surrounded by rolling hills and views of vineyards for miles. Kristina and Peter both knew that when it came time for portraits, they wanted to include this scenery in the images. Kristina spent her morning getting ready in one of the Sycamore cottages. The cottage had two suites attached by a shared backyard. 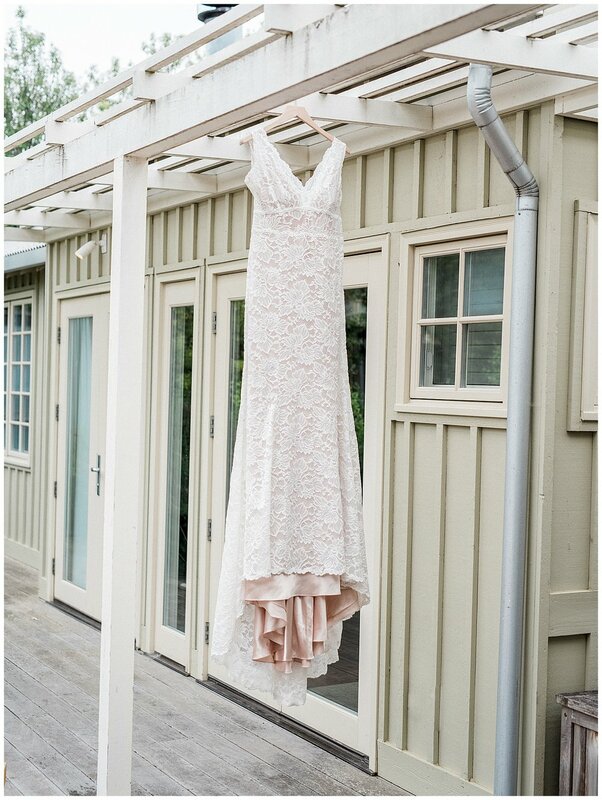 This space was the perfect location to photograph her BHLDN wedding dress and all her details. 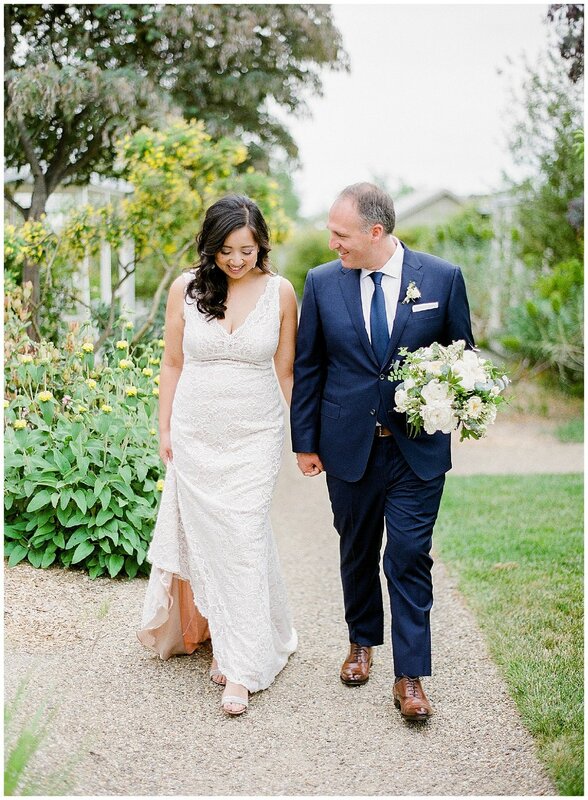 Kristina's bouquet was made of white peonies, white ranunculus, several varieties of white roses, and lily of the valley. Lily & Mint (her florist) provided some additional loose florals for me to use when styling their rings, invitations, and her shoes. 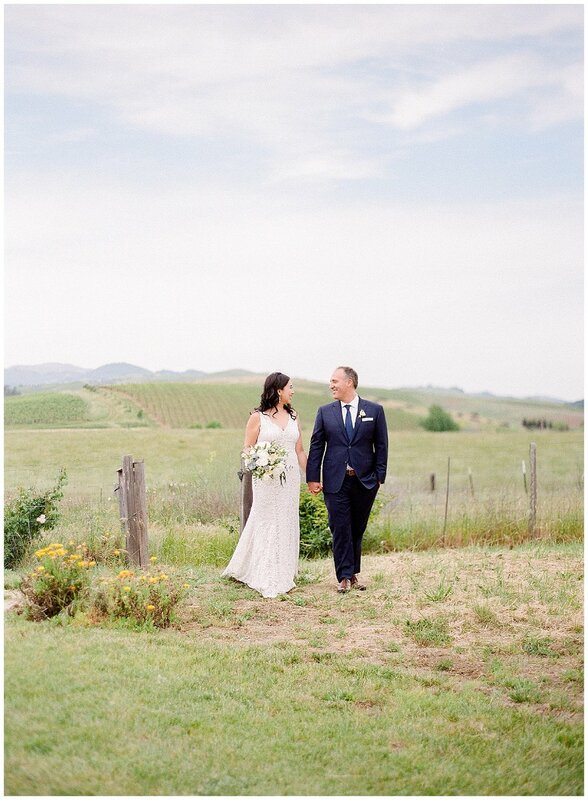 We took portraits all around the Carneros property, starting around the guest cottages and then moving towards the vineyards and rolling hills at the back of the resort. 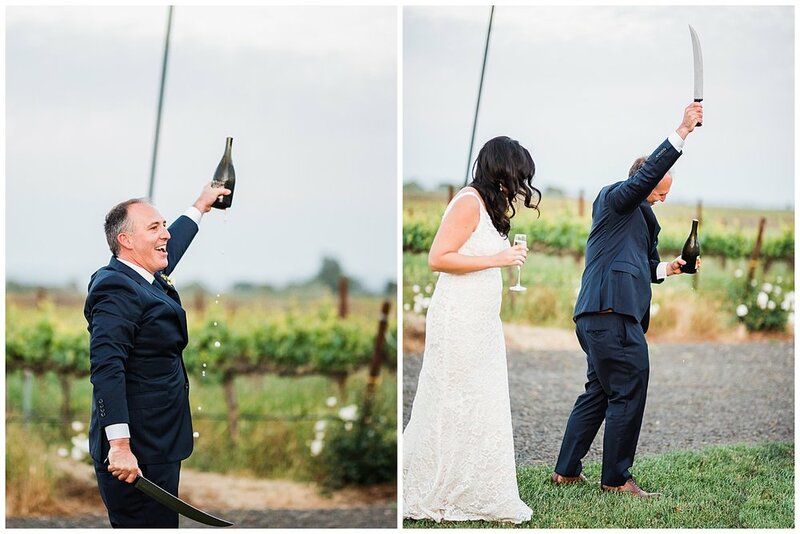 From here, we went to The Barn at Tyge Williams, their wedding venue, for photos in the actual vineyards! 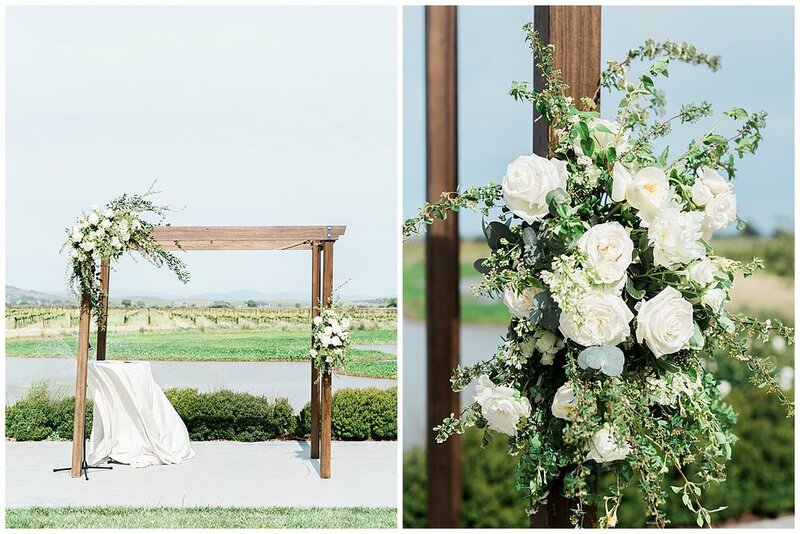 Their ceremony was set to take place in front of the lake, right next to the willow tree. 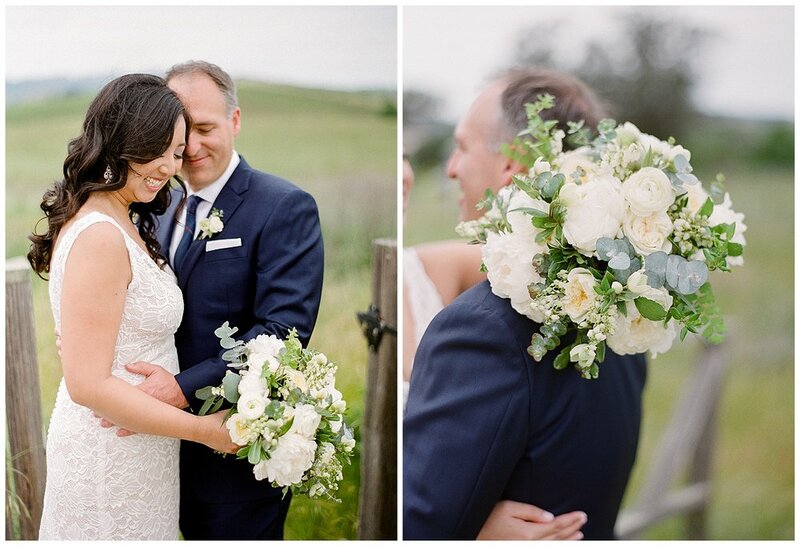 Their wooden arch had beautiful arrangements of white florals and greenery. Kristina and Peter were led into the ceremony by the cutest flower girls wearing floral crowns and matching white dresses. The ring bearer, Kristina's nephew, wore the cutest blue suspends with a matching blue bowtie. At the end of the ceremony, as Kristina and Peter were walking back up the aisle, they paused at the end to take a photo with all of their guests. We planned this photo well in advance and it most definitely involved a 10-foot ladder. The cocktail hour setup involved a hanging brass chandelier, high cross-back wooden bar stools, and blue denim linens. During cocktail hour, outside of the barn, they had a game of corn hole, each platform painted with each of their alma maters: UCLA and Notre Dame. 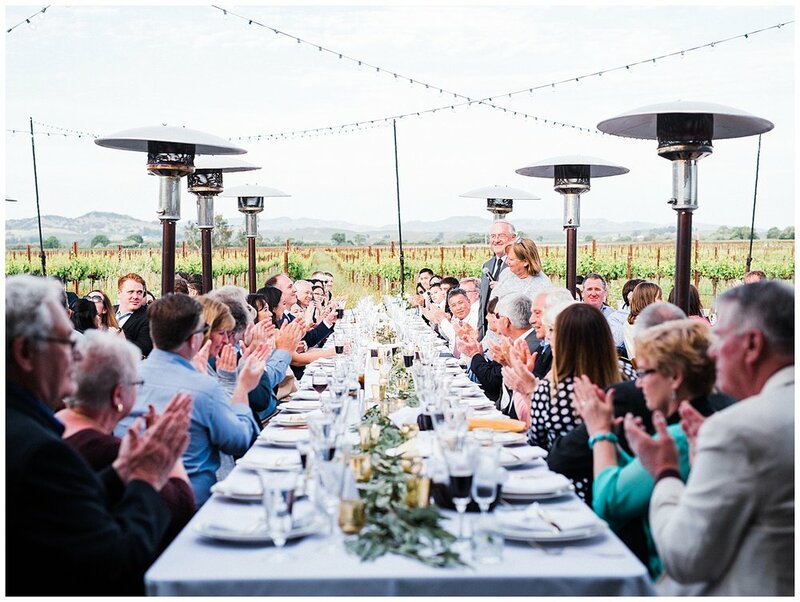 Their reception was set up with four long farm tables, each one with seating for up to 40 guests. 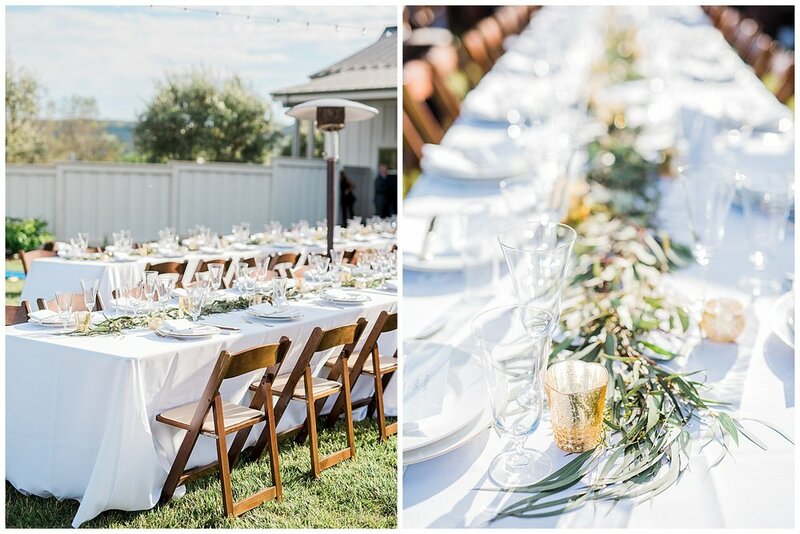 The tables were set with white linens and runners made of greenery and candles. Before moving to the dancefloor, Peter sabered a champagne bottle! It was the perfect end to a wonderful day and the beginning of a fun night of dancing with family and friends. Engagement ring: Tiffany & Co.